Click your heels three times and say, "There's no place like Bloomies!" Katie Chandler's life is pure magic - literally. As an executive assistant at Magic, Spells, and Illusions, Inc., she's seen more than her share of fantastical occurrences. A mere Manhattan mortal, Katie is no wizard, but she's a wiz at exposing "hokum" pocus, cloaked lies, and deceptive enchantments. And she's fallen under the all-too-human spell of attraction to Owen, a hunky wizard and coworker. Owen, however, is preoccupied. Someone has broken into his office and disrupted top-secret files, and it reeks of an inside job. I love this whole series, it's imaginative, fun, and totally relatable if you're a small-towner who's left home. But the narrator mispronounces things, emphasizes strange parts of the sentence and, unlike the main character, has no discernible Texan accent. A large number of the characters are from Texas. That really should be something you get down. I know a lot of people like the translation because it keeps the book from getting too "stuffy", but this is a literary masterpiece. I like formal wording for formal passages. The problem with this book is that it doesn't have an audience. 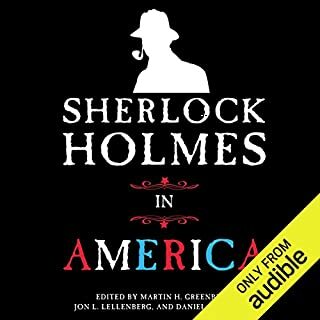 You have to know the Doyle stories inside and out to appreciate (or even understand) a fair number of these mysteries, but, if you're that big of a Holmes fan, you'll probably hate the compilation for being either stupidly easy or out-of-character. There are a large number of authors, who had varying problems (and to varying degrees). I don't really remember the narrator, which means he a) didn't do anything annoying but b) didn't make an impression. Every time you pick up a tribute book of any genre there's a trepidation that's inherent with somebody trying to add on to a beloved author. This just falls so flat. Several stories attempt to keep the social biases of the originals, so if you're easily offended by either racism or bigotry, you probably shouldn't read this. The narrator was brilliant--she can do all classes and genders to a tee without sounding ridiculous or cartoony. The story was...sufficient. It definitely has its humorous moments. I felt the ending was on the edge of the bleeding obvious, but the main character was relatable and fun. Perhaps it's just a weak introduction story and the series keeps getting better. The characters are definitely enjoyable. 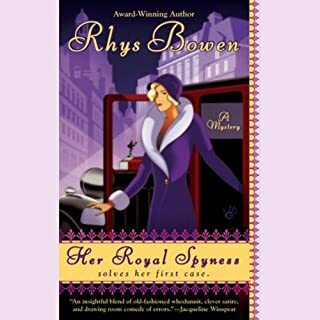 Perhaps my biggest problem with the plot was that I expected it to be a story of a Queen sending a lesser royal relative out to spy for her, when in reality that took up a total of about 7 minutes in the plot (and that includes describing the room the scene took place in) and was a majorly low-stakes addition to the high-stakes plot. Minnesota accent for Swedish story. I really wanted to not mind the narration because this is my favourite translation of the book (vastly better than the other), but wow, she really is unusual. 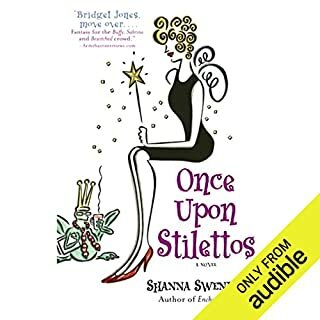 The narrator not only has a strong Minnesotan accent, but she made all the characters really excited all the time, and--most offensively--does the voices like characters out of Scooby-Doo. Seriously, I kept picturing the ordinarily respectable characters sounding like caricatures. It's an lovely book. Sweet, calm and happy. 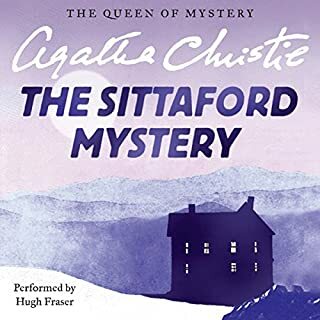 I love Christie's work, and for me, there is no other narrator than Hugh Fraser. He's completely brilliant at creating characters, and, most importantly for me, does a believable female voice (not just pitching his voice to sound like a Chipmunk). 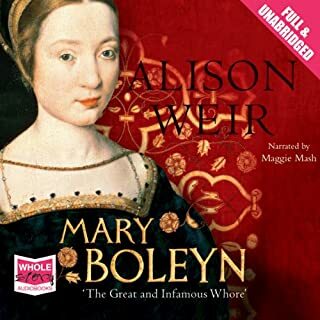 Though Alison Weir is always a little extreme in her views, I enjoyed the book thoroughly. It is easy to delineate between fact and the author's opinions. It was good to learn about Mary, as she has become a popular figure without really being better understood. 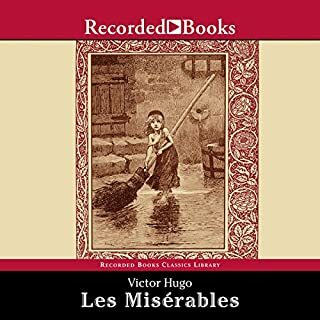 The narrator was fine, though halfway through her voice changes so much that for a couple of minutes I thought they had replaced her. 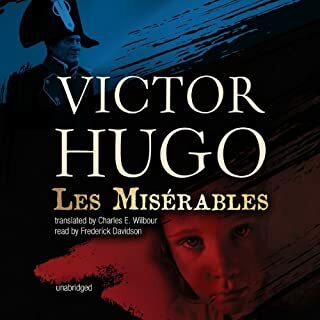 This audiobook sounds like it was recorded in a tin room with a narrator who was gasping for breath. His accents and pronunciation were fine.